If Apple's battery case is a solution, why are there so many questions? If you’re the resident Apple know-it-all in your family/office/school, you probably heard this question more than once this week. It’s an appropriate one to ask when the biggest company in the world dropped one of its strangest releases: a battery case with a weird hump that promises to extend the life of your iPhone 6 or 6s by 25 hours. I won’t say it’s awkward, but had it been released by a company like Griffin or even Mophie, it would have a hard time finding someone to sit with in the cafeteria. But since it’s Apple, the whole world noticed. The timing of the release was curious in itself—on a random Tuesday, just 17 days before Christmas—but even if it had been unveiled alongside the iPhone 6s in September, it would have been no less of an oddity. It might be the most un-Apple product ever released, and I have to wonder if Jony Ive even saw it before it was sent to production. And each time I was posed the above question, I struggled to answer it. 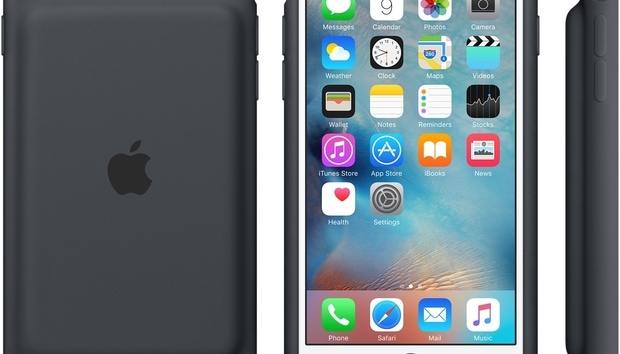 When the first image of Apple’s battery case popped up in my Twitter timeline, I scrolled right past it. It wasn’t until I saw the same image up three or four more times in near succession when I realized it wasn’t someone’s joke mockup. Now Apple hasn’t exactly had a stellar record when it comes to cases. There were the funky iPhone 5c covers that showed unsightly bits of words through the holes. The iPhone 4 bumpers that were more about reception than protection. And who can forget the utterly bizarre iPod Socks? But something troubled me about the battery case even more than the design. It’s not just that it’s cumbersome and goofy; rather, it seems to be trying to address a specific customer complaint with the iPhone 6. Of course, you can argue that the iPhone 6 itself is an answer to specific complaint about the size of the screen compared to its Android foes, but the battery case feels different. When Apple designed the iPhone 6, it was a natural progression and design evolution. Every decision—the size of the battery, the protrusion of the camera, the placement of the power button—was made to create the best product, warts and all. The battery case doesn’t look like it went through the same process. It’s as if Tim Cook or Phil Schiller read a bunch of disparaging iPhone posts and called a meeting. And that’s not how Apple operates. But if there was ever a focus group product, it’s this one. While there’s still some cool innovations inside that make it smarter than the average battery case—the Lightning connection is a nice addition and the live status updates are particularly clever—without the Apple symbol on the back it would never be mistaken for a Cupertino product. And at a hundred bucks, I can’t imagine it’s going to fly off shelves. The iPhone battery case is a solution to a problem, but I just don’t think it’s one Apple strongly believes needs solving. People have been comparing it to the Magic Mouse’s charging port or the Apple Pencil’s built-in Lightning charger, but those are design compromises made for style and convenience. The Apple Pencil might look funny sticking out the end of the iPad Pro, but the care and detail put into its design is obvious. With the battery case, not so much. Apple doesn’t need to create reactionary products. It has an army of third-party partners that are happy to fill specific needs that arise as people discover things that Apple chose to overlook. Some smarts aside, the iPhone battery case doesn’t really offer much that the Mophie Juice Pack doesn’t, and it’s hard to understand its reason for existing, other than the occasional upsell to an unscrupulous iPhone 6 or 6s buyer at an Apple Store. Of course, this could all just be an overreaction. A $99 accessory is basically a rounding error on Apple’s bottom line, and after a few weeks it’ll just blend into the others on the shelf at the Apple Store. By the time the iPhone 7 comes around we’ll probably forget it ever existed. It’s no secret that Apple does its best work when it’s giving its customers products they want, not what they want in a product, and I hope this isn’t a sign of a shifting philosophy. The Apple I love builds products on its own terms with little regard for popular sentiment. It doesn’t respond to squeaky wheels with a generous application of grease.